Converting a OTS to a OTG and Ash Catcher History. 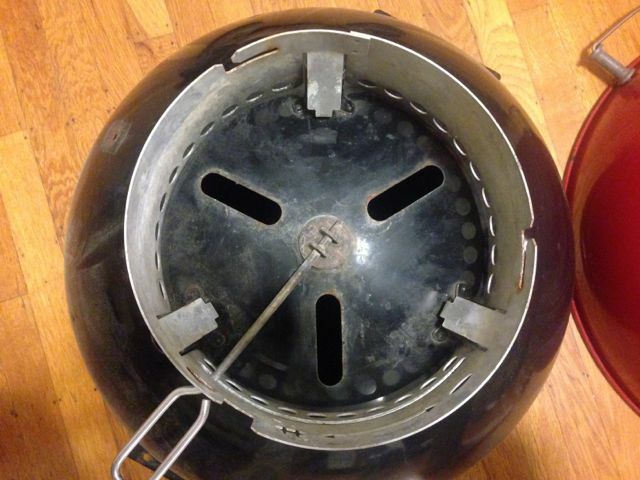 The Weber Kettle has had an ash catcher dish for more than 60 years. 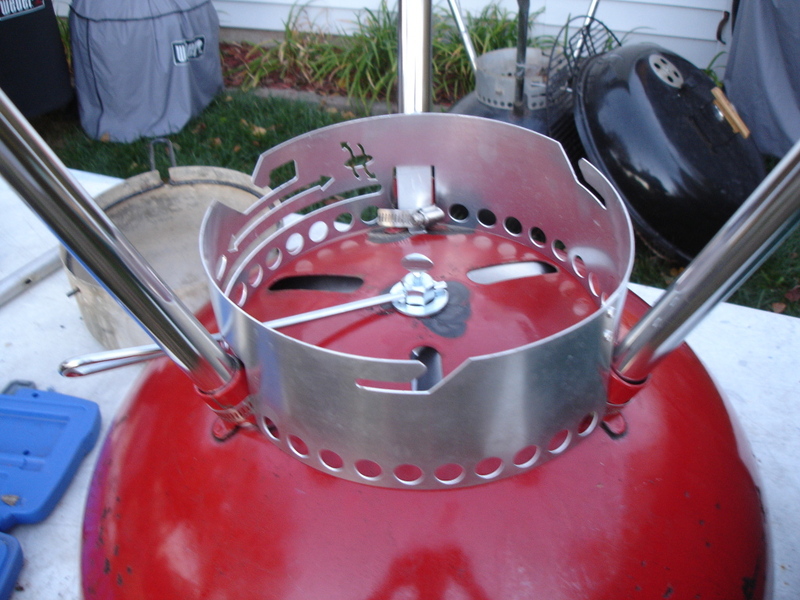 Weber was the first company to popularize the adjustable vents under the charcoal for temp control and an ash catcher prevented the ash and embers from falling on the ground. Weber first invented the One touch system in 1982 and filed for patent #CA 413907 on Oct 21, 1982. The One-touch has 3 elongated vent slots in the kettle base that served the dual purpose of airflow and ash removal. The actual vent scraped the bottom of the bowl while also being able to adjust the vent opening. The One-Touch ash sweeper and vent was moved with a handle outside the kettle. Weber sold the “One Touch” as a premium model to the three daisy wheel kettle. On Aug 8, 1991 Weber filed patent application #EP19910916230 for an updated ash catcher with an ash catcher collar and removable pot-like ash pan. This style was placed on the higher end models like the like the Performer, and One-Touch Gold while the original ashpan dish remained for the One-touch Silver. The ash catcher is much larger so it needs to be empty less frequently. Safety is increased as the collar and deeper ash pan prevents hot ash and embers from falling to the ground. 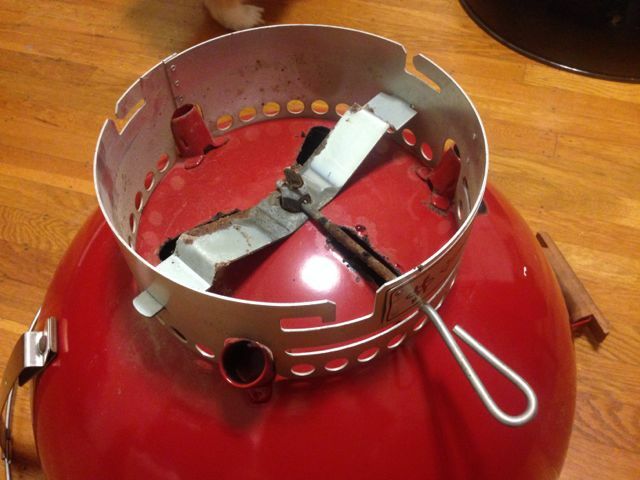 The collar helps protect the bottom vent from wind so that temps are better maintained for covered cooking. Better contained to allow easier disposal of ash. There are two versions of this ash catcher. The original style is held on with a bar and the 7409 ash sweeps. 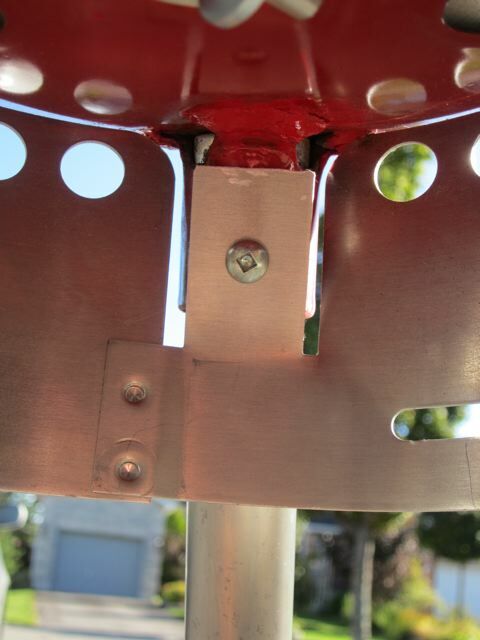 The Newer style has clips that clip into the leg sockets and has a more secure connection. 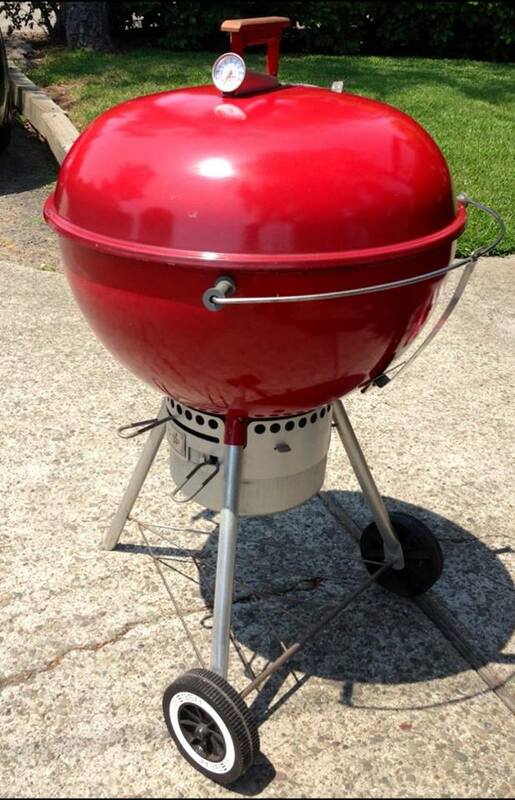 You can identify the old style as it has an extra plate riveted on the collar for airflow directions. The newer/current style introduced around 2004 has the airflow arrows stamped out. In general, the parts are not interchangable without minor modifications. The old style ash catchet has an additional ash catcher bar to hold the collar up. 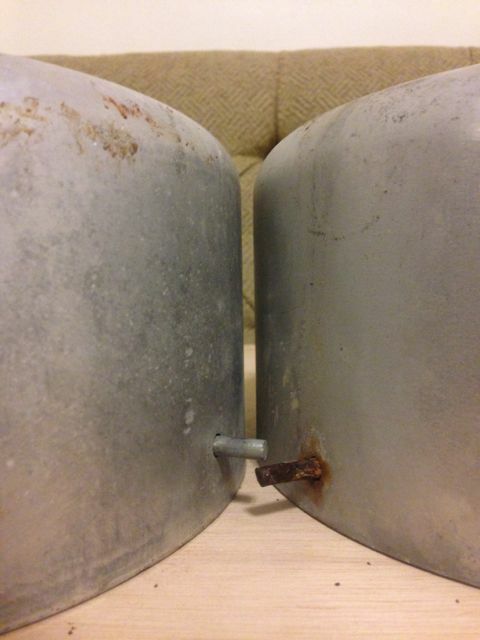 The leg sockets prevent the collar from spinning when sweeping the vent and replacing the ash catcher pot but DOES NOT support the ash catcher. Also note the original style one touch ash sweep that has a hex screw and a nut holding it into place. The new style ash catcher has less parts. Clips/tabs were introduced to clip directly into updated leg sockets. The leg sockets have a larger slot for the tabs and now hold the ash catcher up while simultaneously preventing it from spinning. The ash sweep handle assembly was also updated- it simply clicks into a tab with the twist of the handle. Closeup of the clips and updated leg sockets. Steps to convert your One Touch Kettle to a OTG. So you have an old One-Touch kettle or One-Touch silver and want to add the One-Touch Gold ash catcher. It’s pretty simple and will only require a few parts and regular tools. Hardware- Stainless steel is preferred. Identify the kind of leg sockets you have. The newer style Kettles after 2004 has ash clips slots directly under the sockets. 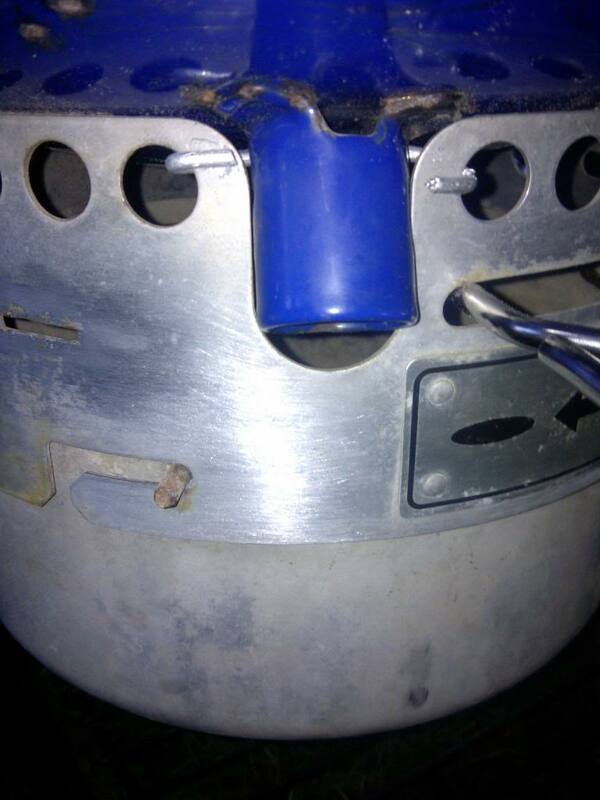 If you have a newer kettle with these slots, the current style ash catcher will clip into place. Old Style sockets without the clip slots. The opening is narrower and not pointed exactly towards the center. Method 1- Hose clamps. Hose clamps are an inconspicuous was to attach the ash pot. 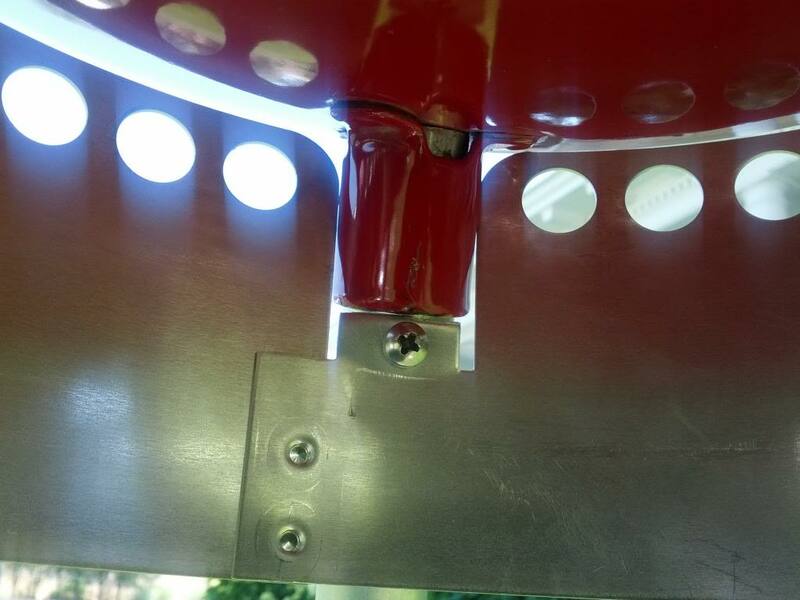 You can paint match the hose clamps so that they won’t stand out, or even take the extra step to place the screw clamp inside the ash catcher for an even sleeker install. Method 2-Screws. 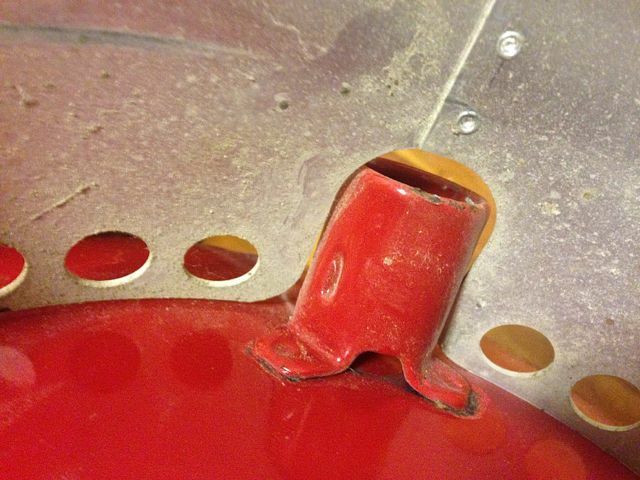 Members have screwed the ash collar directly to the kettle legs or sockets. This method is also very secure if done properly. 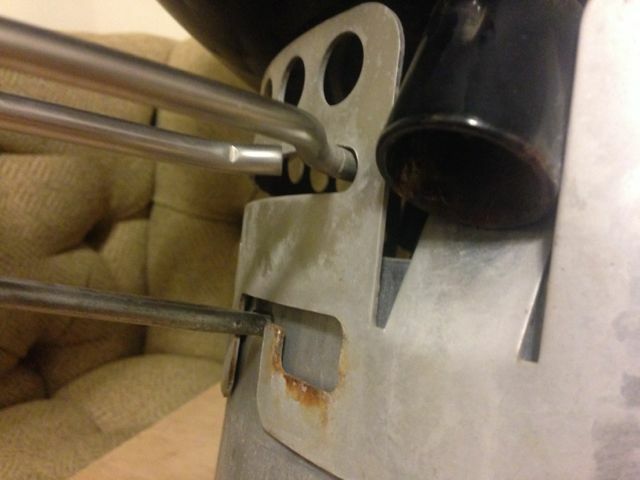 I recommend drilling into the kettle legs and using stainless steel screws. This way the porcelain on the sockets is not disturbed and inviting rust. You may want to trim the tabs down for an even better fit. Check out cbpeck’s installation He trimmed a little more but still drilled into the legs. Good man! Check out MacEgg’s installation. He trimmed just the small tab at the top. Method 3. Cutting slots. Use a dremel and cut-off wheel to “introduce” the slots so that the ash catcher can clip in. Touch up the cuts with a little paint to hold back the rusting if you live in a wet climate. Here’s Troy’s installation. Notice how he didn’t cut all the way through. Just enough to secure the tab. Method 4. Bailing wire. This method is discrete but it not as secure as the other methods. Just insert the bailing wire into the leg socket and collar vent holes and twist. Adding an old syle Ash catcher to a kettle is more complicated unless you have the old style ash catcher assembly, support bar, and #7409 One-touch ash sweep. The ash sweep is identified with a hex socket and thumbscrew to secure the sweep handle. The dimensions of the current style 7444 Ash catcher has a stamped “H” Clip that secures the ash sweep handle. The “H” Washer is slightly thinner than the old support bar, and causes the sweep to bind. This DIY old style ash catcher bar thread has more information and plans to make your own replacements. If you need to replace your ash support bar aftermarket replacements are available. Are the ash catcher pots interchangeable with the collars? Not exactly. The older pots were slightly taller by ~1/4″. 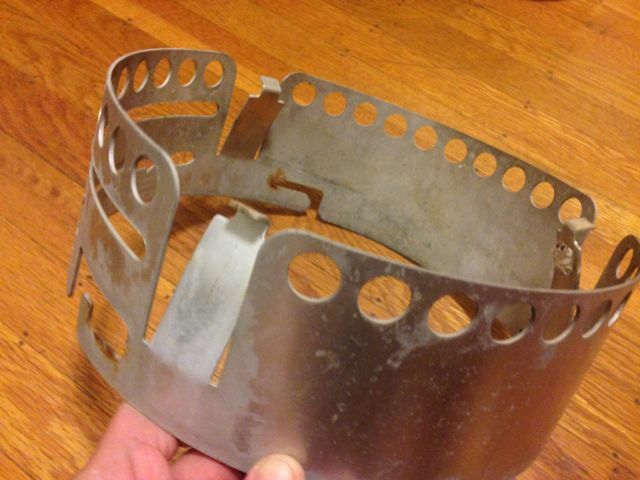 If you try to put an old pot onto a newer style collar, the taller lip will hit the collar clips. However, the newer pot is compatible with all collar styles. Note the height difference between the old (l) and new (r) pots. Note that the pots are upside down in this pic. 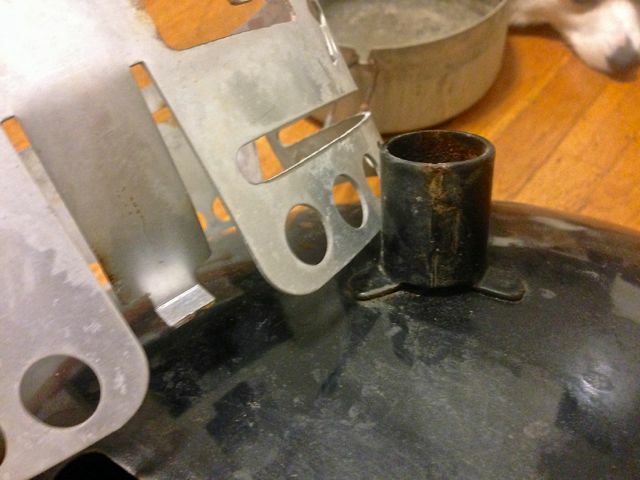 The lip of the pot will hit the tabs if you try to use an old pot on a new collar. The pot will bind and be incredibly hard to turn/remove. Which Kettles came with the fancy ash catcher? All generations of the Mastertouch, One-Touch Gold, One-Touch Platinum, and Performers have had the nicer ash catcher. Awesome article Lawrence, great job! I’m looking to up grade a couple of older One-Touch Silvers, this article will help a lot. I have a new one touch silver 18.5. On erlacement web site, it does not list my kettle as being a fit for the ash catcher in this article. Will the ash catcher fit my 441001 model, or not? Thanks for the information. then it will snap in. If you have an older mode without the wide slot in the leg socket you will need to modify the sockets as outlined in the article. Good luck! Greetings from southern France and thanks so much for this advice. 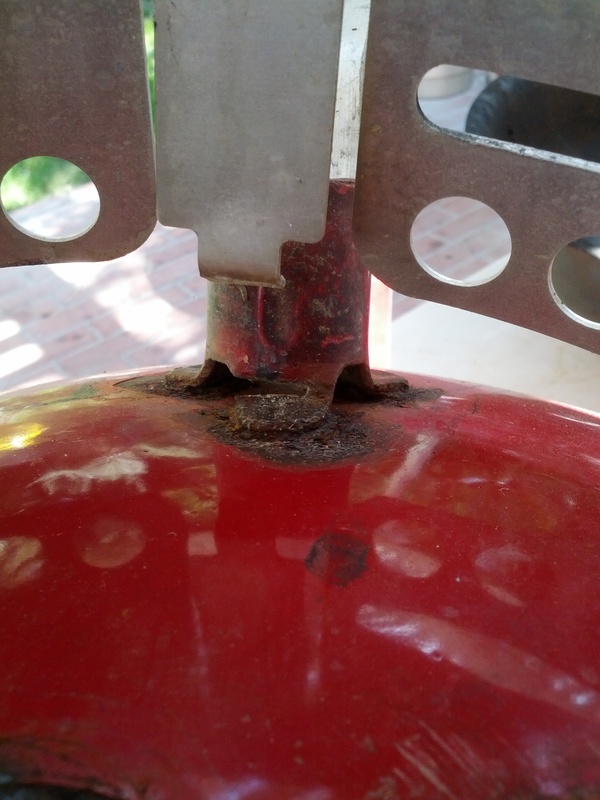 I have a redhead that I got in 1999 as a present, and the one-touch sweeper blades had corroded through, while the bracket holding the ash-catcher base was going the same way. Of course, the new-style one-touch system doesn’t work with the old-style bracket, which was a problem in itself. However, with three hose-clamps – as shown above – I secured the ash-catcher base, so I can use the old assembly with the new one-touch sweeper blades/temperature controller. Brilliant – thanks again for the advice. Great article. I’m one the fortunate ones. Weber customer service was very helpful, and told me what I’d need to convert my One Touch Silver ash catcher. I received the parts in the days and in 45 minutes my unit was converted, including inserting screws through the tabs and into the legs. I also drilled a hole for my digital thermometer probe. This article helped me to know I wasn’t the only one making this conversion. The Westerner has landed – Congrats Harris!